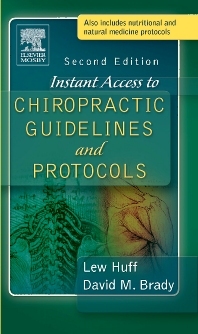 This one-of-a-kind, pocket-sized reference provides instant access to a wide range of key information on managing commonly encountered musculoskeletal conditions, including diagnostic criteria, treatment goals, management guidelines and protocols, nutritional management protocols, home care protocols, referral protocols, and more. Organized by orthopedic disorders, the contents are formatted for easy retrieval of pertinent information. Only text to compile protocol information from The Rands Studies, The AHCPR Guidelines, The Quebec Task Force, The Mercy Conference Guidelines, The Royal College of General Practitioners, and The Manga Report, Ontario Ministry of Health.